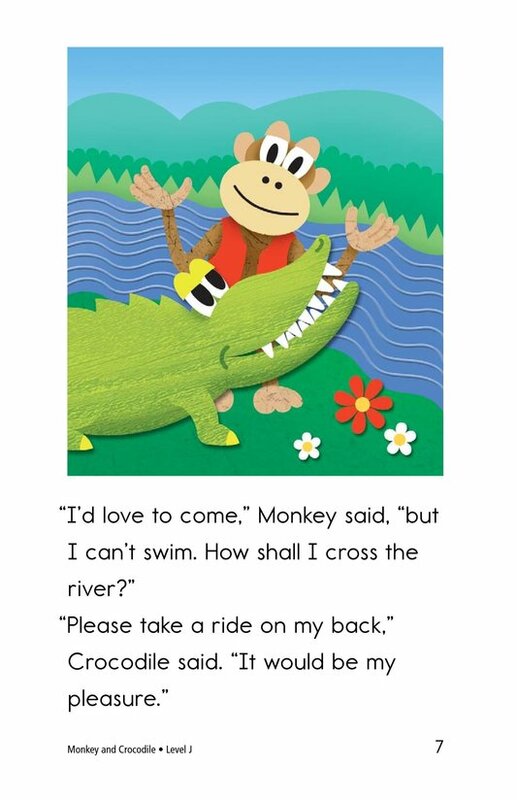 Monkey is a good friend to Crocodile. 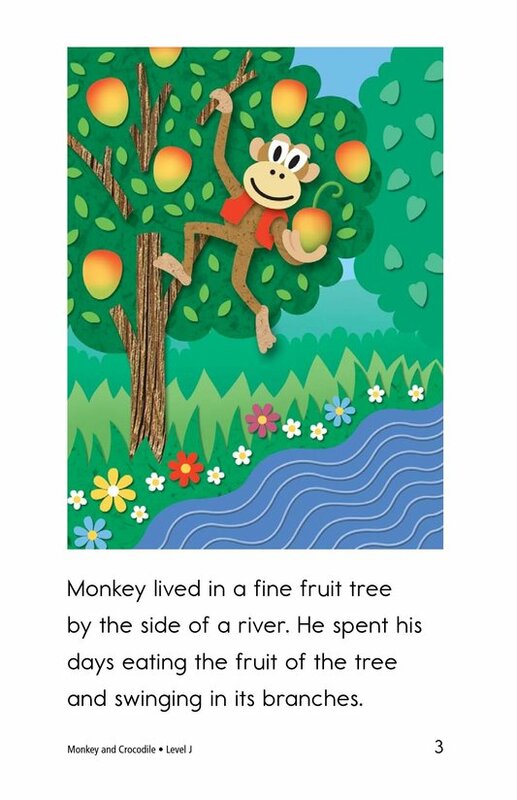 He tosses him sweet fruit each day. 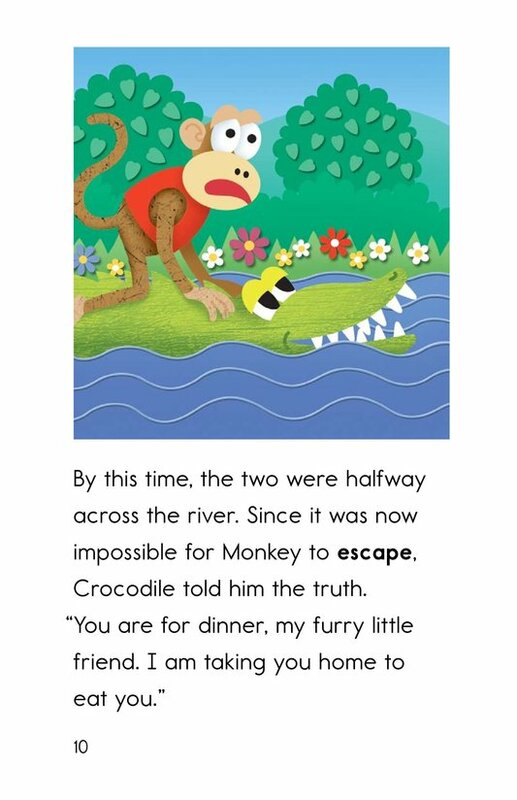 Soon Crocodile wants to return the favor and invites Monkey to join him for dinner. 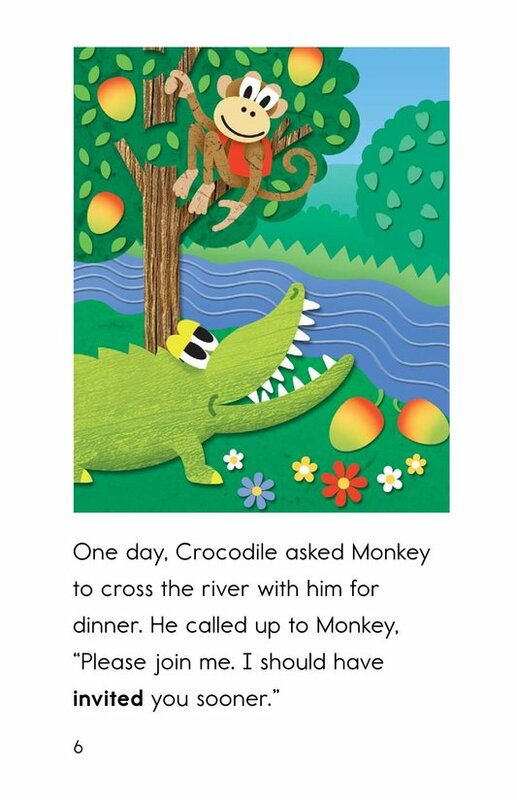 Should Monkey leave his safe tree and travel across the river with Crocodile? 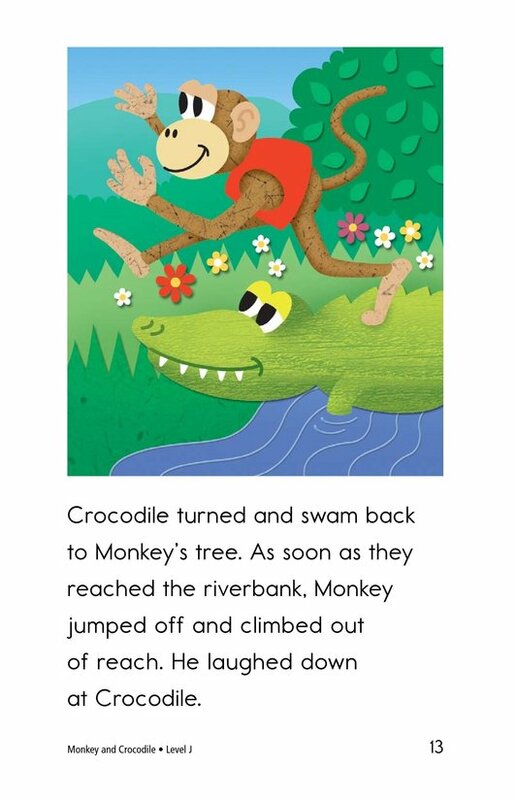 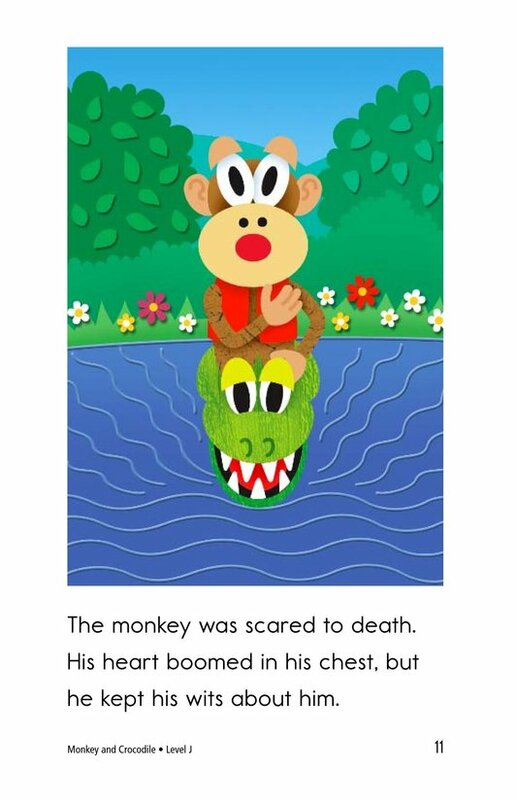 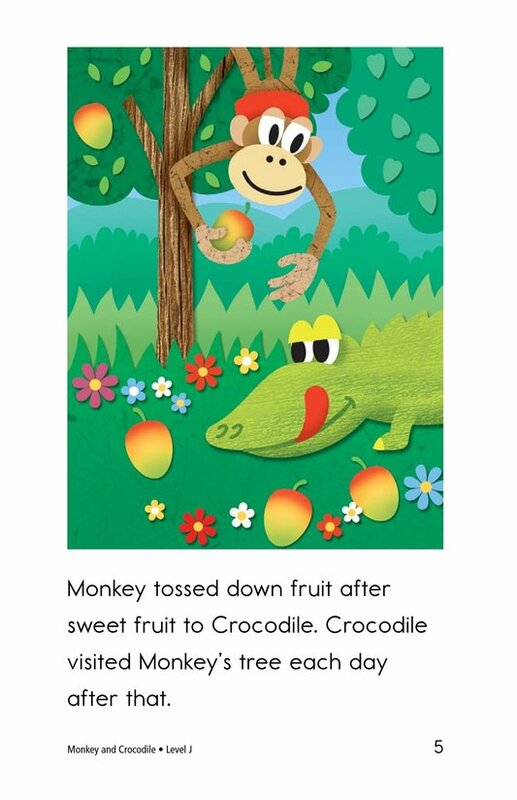 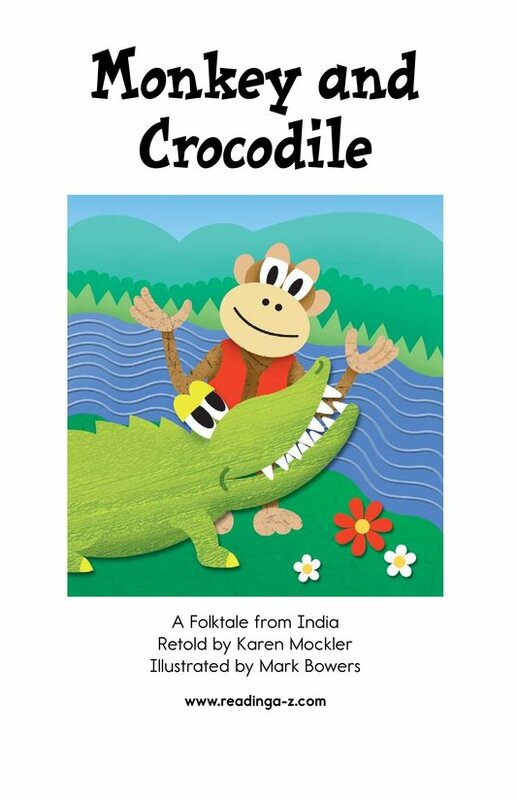 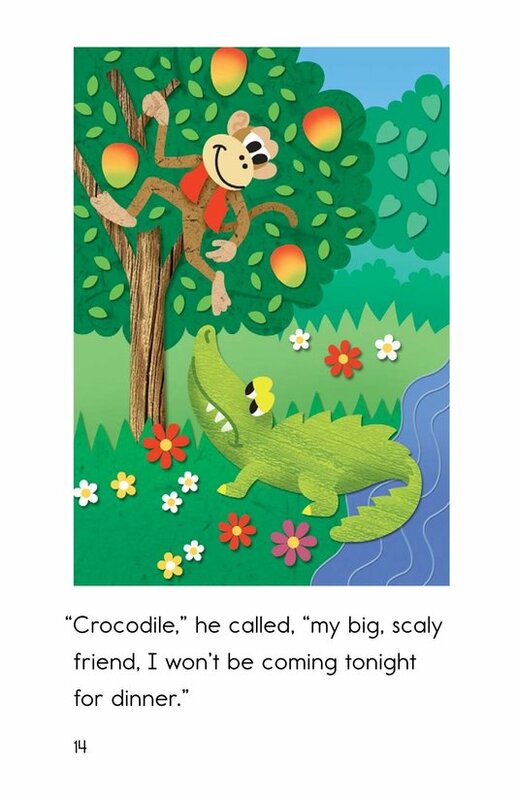 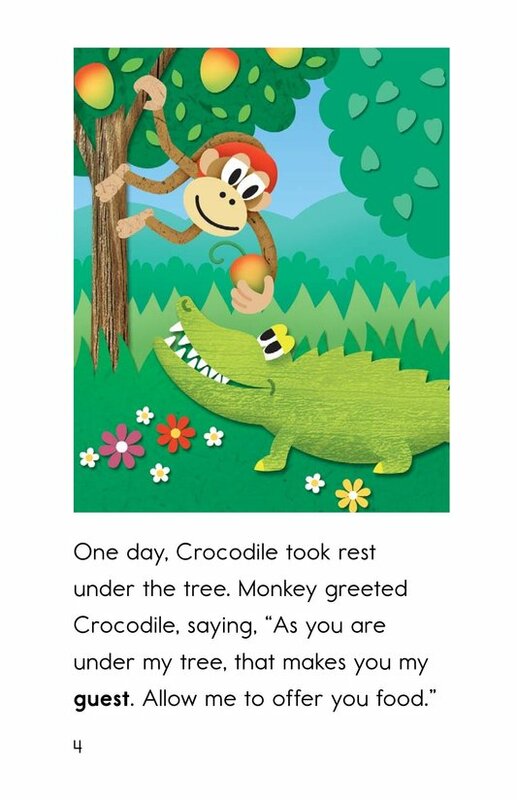 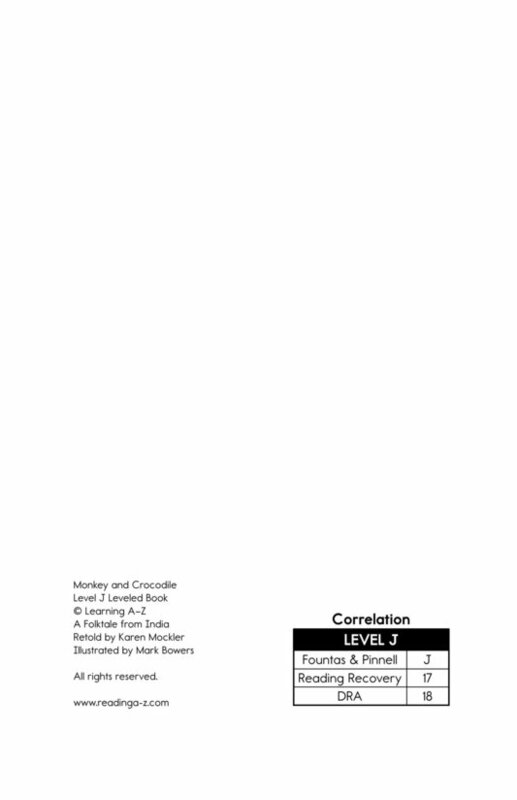 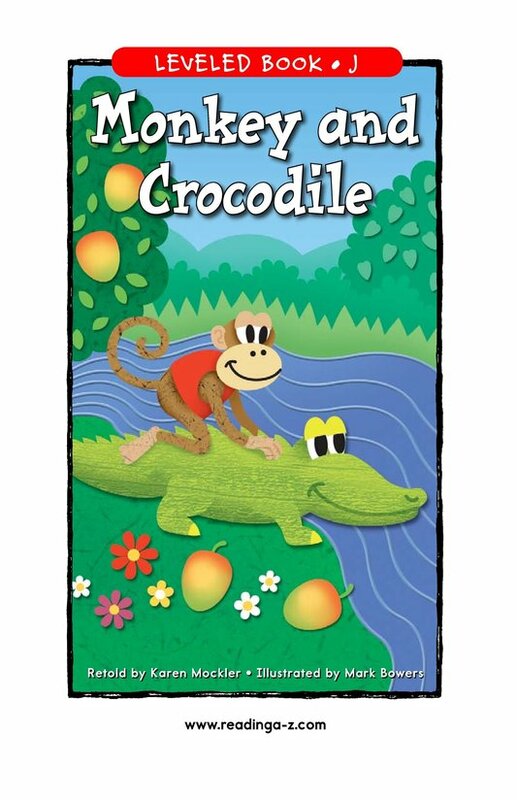 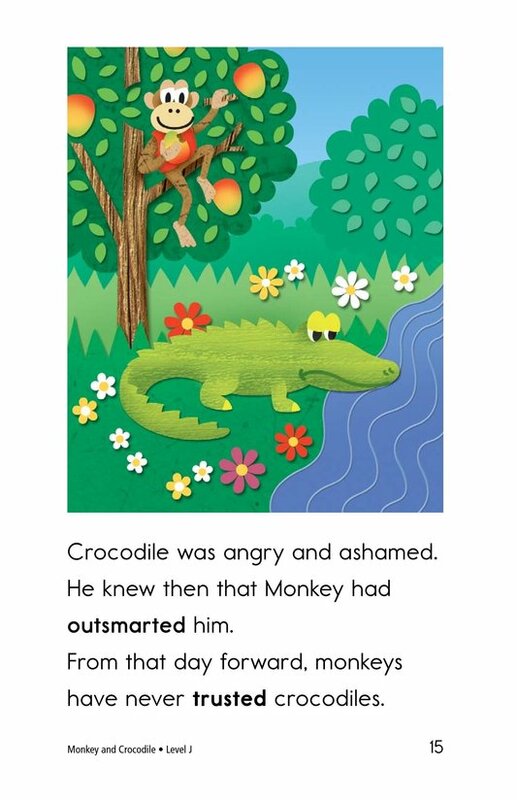 The pourquoi tale Monkey and Crocodile retells the story of trust and cleverness with delightful illustrations. 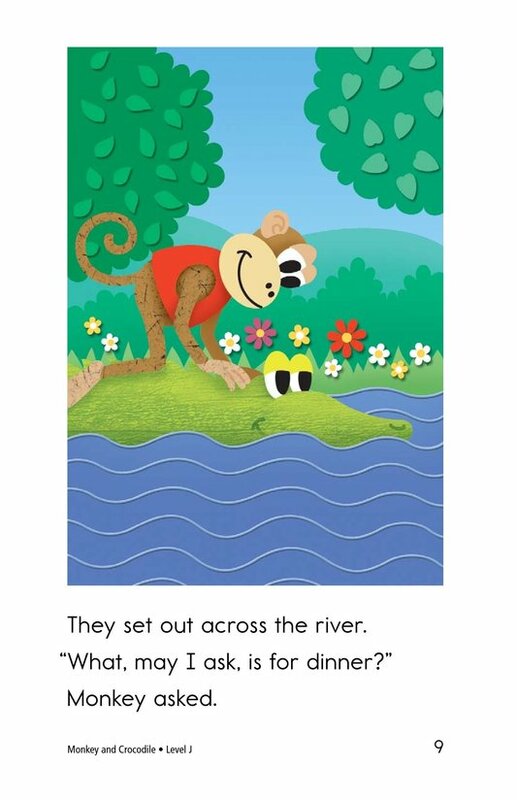 Students have the opportunity to identify the characters and setting as well as connect to prior knowledge. 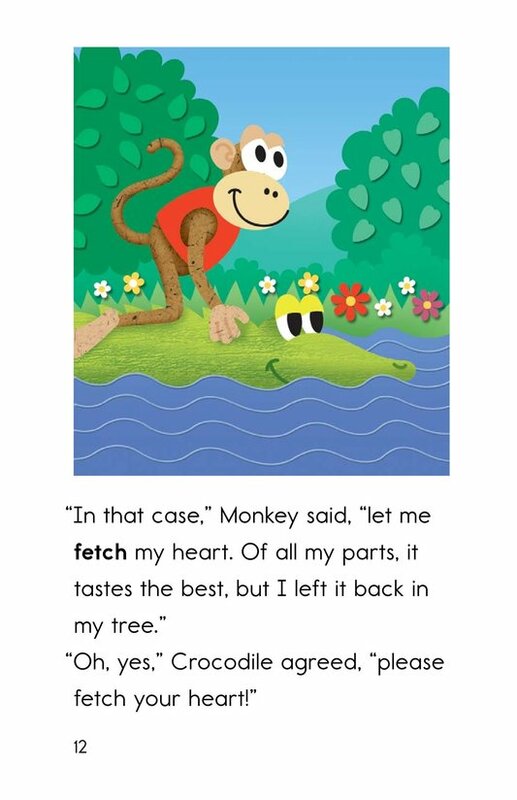 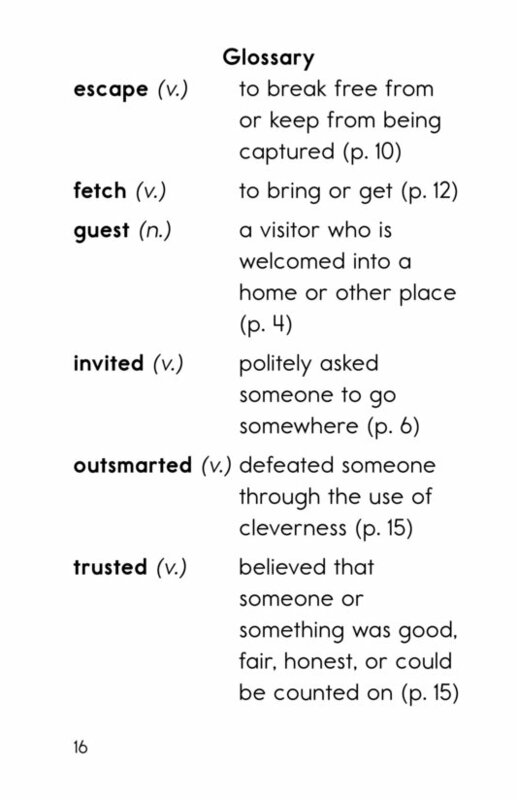 High-frequency words and simple dialogue support emergent readers.